One of the biggest stars in country music is heading back to Houston next year to perform at RodeoHouston. Brooks let the cat out of the bag (or horse out of the chute?) hours earlier on Twitter. Brooks' career was just taking off when he first performed at the rodeo back in 1991. He wowed the crowd and was welcomed back in 1993. After a long retirement, Brooks recently began touring again. He sold out eight shows at Toyota Center in 2015. RodeoHouston&nbsp;officials announce country music superstar Garth Brooks as the opener and closer for the 2018 Houston Livestock Show &amp; Rodeo in front of fans on March 16, 2017, at NRG Park. 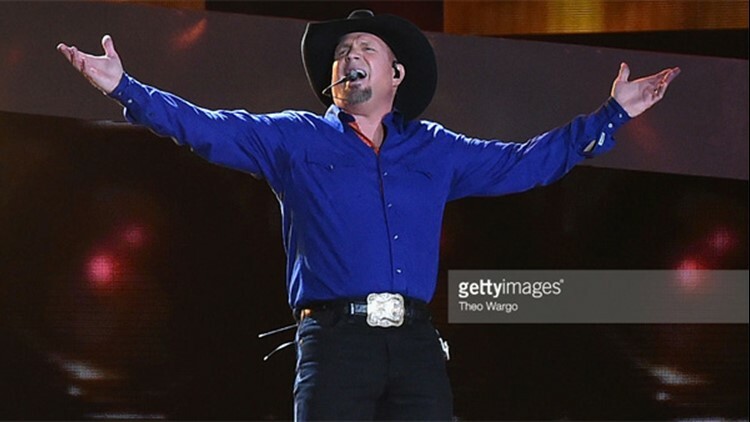 RodeoHouston officials announce country music superstar Garth Brooks as the opener and closer for the 2018 Houston Livestock Show &amp; Rodeo in front of fans on March 16, 2017, at NRG Park.